"The Boat" is still a work in progress, as leadership is passed on and problems inherited." The Boat is sailing again, this time to Gangwon International Biennale 2018, previously PyeongChang Biennale, in Chuncheon, South Korea. 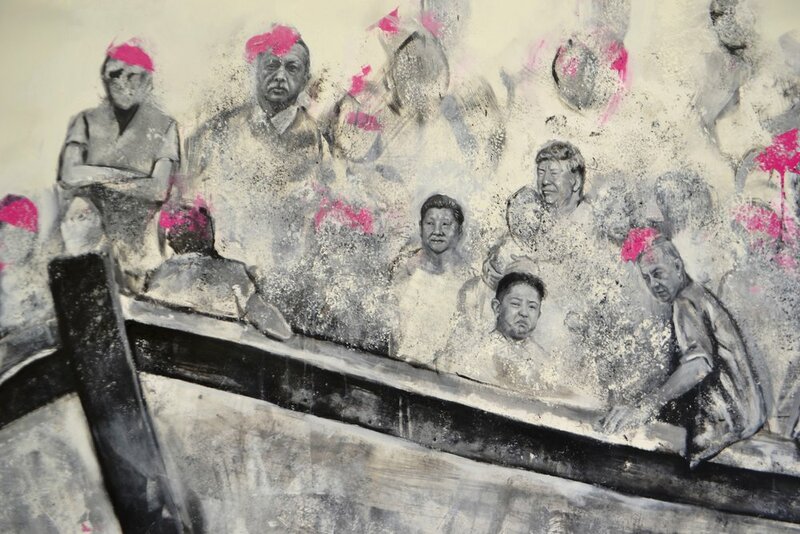 The Biennale, entitled "The Dictionary of Evil" focuses on historical, political, and social issues that have taken place in the past 100 years. Presented alongside other international artists including : Tammam Azzam, Akram Zaatari, Thomas Hirschhorn, Wael Shawky, Walid Raad. On view from Feb 3 until March 18, 2018. Multidisciplinary Theatre Performance, Created and choreographed by Benno Voorham. “Waiting in the Margins” addresses the situation of children that live in refugee camps in Georgia and who were forced to leave their homes in South Ossetia together with their families as a result of the ethnic cleansing during and after the Georgian-Russian war in 2008. Building on the methodologies that were developed in the project ’Home’, a series of workshops in the field of dance, physical theatre and visual arts will be organised for children from refugee camps and teachers and social/cultural workers that work with these children. 2015 a performance will be created with children from the refugee camps and dancers and actors from Georgia, Moldova and Ukraine and a visual artist from Syria. This performance will tour Georgia, Moldova and Ukraine. In Ukraine video and text material of Archaeological Bodies (UA),which is the Ukrainian part of the project, will also be presented. For more information, visit: Lava Dansproduction website. "Waiting in the Margins" full documentary. created by: Tinus Kramer. presented by: Ettijahat, Syria & Moviemiento Berlin; with the support of MitOst e.V. In the course of a filmmaking workshop provided for Palestinian-Syrian participants in Lebanon we opened a call for short-films shot during the troubled past four years in Syria. A wide range of overwhelming and powerfull entries reached us from all over the country. In this screening we will present a selection of very different but remarkable cinematic approaches. Elias Parabo (adopt a revolution), who is in close contact with civil society initiatives inside Syria will open the event with a talk on the current situation. 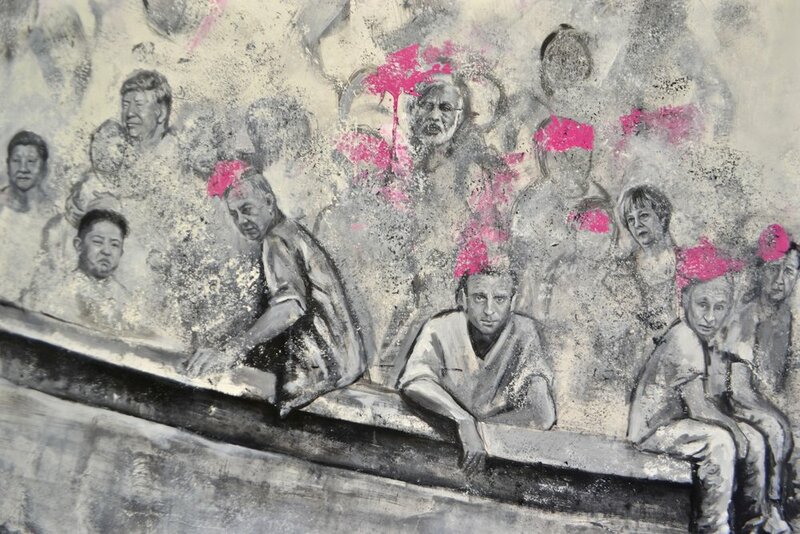 "Artists Contributing to Syria’s Future"
An Auction to Support syrian Education Aspiration. By "Jusoor Syria"